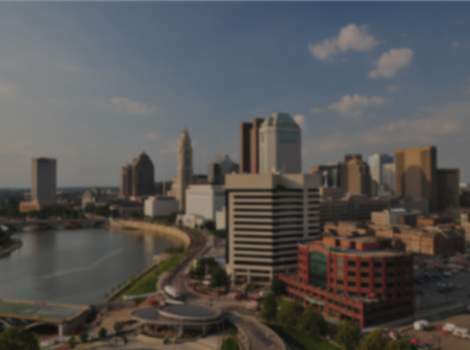 We know there are a ton of reasons you might be visiting our hotel in Columbus. Have a layover? Here on business? Touring the town? Whatever brought you here, we invite you to stay with us at the Hampton Inn hotel at the Port Columbus International Airport. Hampton Inn hotels offer spacious guest rooms full of thoughtful amenities complemented by friendly service and a relaxed atmosphere. By focusing precisely on what guests have said they need and want, and less on what they don’t use, we deliver the highest degree of service and cost savings to both business and leisure travelers without sacrificing the quality associated with the Hilton name. Our promise to you includes a clean, comfortable hotel room. In fact, we have 129 of them! Once you've arrived at our hotel, you'll find many great amenities waiting for you in your room. Need to get some work done while you're with us? We offer free high-speed Internet access in every guest room. Prop your laptop on our handy lap desk and type away while you watch TV. When you're ready for some rest, hunker down for the night in our most comfortable amenity yet - our Clean and Fresh Hampton Cloud Nine Bed. Hampton Inn Columbus Airport offers a 24/7 complimentary airport shuttle and a local shuttle that travels up to five miles from the hotel. (Please call the hotel for scheduled hours). Complimentary On the House breakfast with hot items, now including waffles. If you’re in a hurry we have On the Run breakfast bags available Monday-Friday to help start your day off right. We also have a seasonal heated outdoor pool, fitness room and business center. We offer complimentary parking while you stay with us. If you need to leave your car while you fly out, inquire about our Park Stay and Go packages. Meeting room (450 sq. ft.) is also available; please contact our sales team for further details. We Love Having You Here!